Chinese oil production has been falling since 2015, and yet enormous infrastructure investments and huge strategic petroleum reserves (SPR) boost the demand for it. No wonder then that in 2017, Beijing became the largest importer of crude oil, overtaking the United States. Currently, China’s consumption of product is approaching 13 million barrels per day. In the March Gefira we predicted that the PRC will have become the largest consumer of this raw material by 2025, accounting for 18-20% of the global consumption.1)Is the Chinese oil consumption growing faster than the US oil production?, Gefira 2018-03-23.And Russia has an important role to play because already in 2016 it became China’s most important oil supplier, replacing Saudi Arabia. In recent years, an increase in the Sino-Russian trade balance has been noticeable. While a decade ago, the total turnover was less than 45 billion USD, in the last year this result was almost twice as high: 84 billion USD. During the November meeting of the prime ministers of both countries, it was announced that the target would be to reach the level of 200 billion USD, with the energy industry, mainly oil and gas, being the main factor in the balance sheet growth.2)PM says Russian-Chinese trade turnover may reach $200 bln, TASS 2018-11-07. In 2007 crude oil accounted for 35.5% of Russian exports to China worth 6.45 billion USD, in 2011 it was 16.2 billion USD(46.6%), while last year it exceeded 23.7 billion USD, which is more than half (57.6%) of all Russian products purchased by China. Observable is also the rapidly growing amount of coal bought by Beijing. In 2007 it reached a mere 0.1% of the total value of Russian exports to this country, but last year it was already over 3.3%. This confirms the thesis about the rising importance of Russian energy for Beijing. Intensifying energy cooperation3)China, Russia agree to further improve energy cooperation, Global Times 2018-09-08.will enlarge the volume of Russian oil exports to China to the extent that by 2025 20% of China’s oil imports will have come from the Russian Federation. 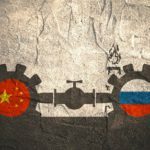 Such tightening of relations between Moscow and Beijing will have significant consequences for European countries buying crude oil from Russia. If Russia’s imports of this raw material to China continues to be upheld, then there are two possible scenarios. There will be a reduction in oil exports from Russia to OECD countries, and above all to Europe. This means serious problems for the largest European importers of the Russian raw material, i.e. Germany, the Netherlands and Poland. This, on the other hand, will translate into its deficit on the European market, which will raise oil prices, especially as the EU is the world’s largest recipient of oil. Russia will intensify activities related to oil exploration in the Arctic. However, this is a long-term process and we do not expect a significant increase in crude oil exports from Russian wells in this area during the next five years. 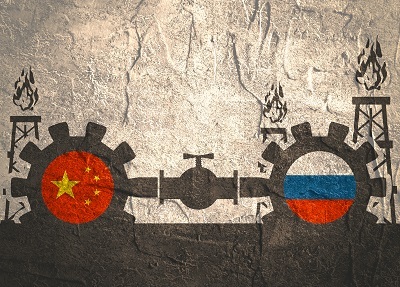 We consider the Kremlin will treat Chinese imports of Russian oil as a bargaining chip in tense relations with Europe. 1. ↑ Is the Chinese oil consumption growing faster than the US oil production?, Gefira 2018-03-23.